Washington, DC – Women in Cable Telecommunications (WICT) today announced the 180 designees of its 2019 Rising Leaders Program (RLP), which is comprised of industry professionals primarily at the manager and director level who have demonstrated strong leadership potential within their companies. A grant from the Walter Kaitz Foundation will support six scholarships in this year’s program for RLP designees from smaller companies and industry nonprofits. In addition, WICT gratefully acknowledges Comcast NBCUniversal as the Silver Sponsor of the 2019 Rising Leaders Program. WICT’s Rising Leaders Program is a competitive, application-based program and all applicants must be approved by their companies in order to participate. The program is limited to six classes of 30 women per class. There will be three sessions this year: April 7-12 in Ft. Lauderdale, FL; June 2-7 in La Jolla, CA; and October 6-11 in Chicago, IL. The in-depth leadership course curriculum will be led by Erika Andersen, Founder of Proteus International, and is supported by Proteus’ senior staff members, Jennifer Sherman and Cari Windt. WICT is a global organization whose mission is to create women leaders who transform our industry. We do this by providing unparalleled professional development programs, commissioning original gender research, and supporting a B2B network that helps advance women. For 40 years, WICT has partnered with cable and technology companies to help build a more robust pipeline of women leaders. Founded in 1979, and now over 10,500 members strong, WICT is the largest and oldest professional association serving women in cable media. Charter Communications and Comcast NBCUniversal are WICT’s Strategic Touchstone Partners. 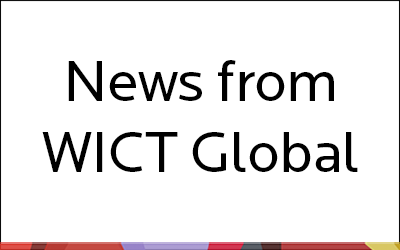 Please visit www.wict.org or follow @WICTHQ on Twitter for more information.